Over the past week, we've had a number of important launches take place in the Android community. Samsung is in the middle of their rollout of the Galaxy S9, with preorders in the US shipping this week. Google also rolled out the first Android P developer preview last week. While these may seem unrelated, there are actually a number of Android P features inspired by Samsung software. Google has been known to take design cues for stock Android from other OEMs. With the latest developer preview of Android P, the Samsung influence is clearly present. The settings menu has seen an overhaul to a more colorful layout. 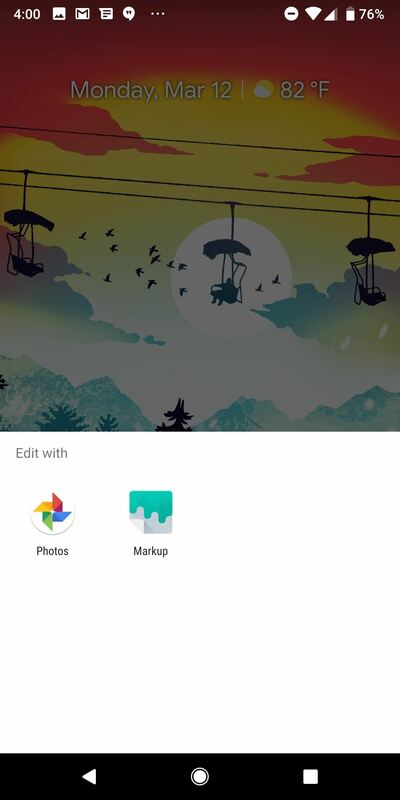 Stock Android now features a screenshot editing tool called Markup. The ambient display and volume controls also gain some useful features. All of these have been prominently featured on Samsung's UI for years now. 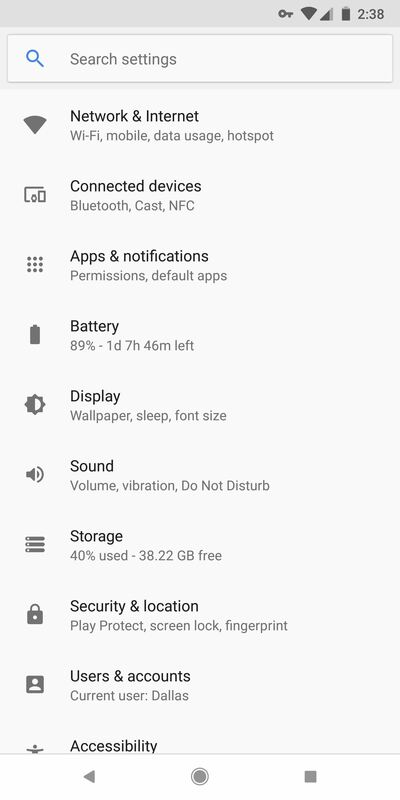 Android Oreo featured a very flat and minimalist Settings menu. With Android P, Google decided to head in a brighter direction. Each of the individual setting tiles now features its own color. While this is a small change, it's easy to see that it was inspired by the Samsung Experience UI. On the Galaxy S9 running Samsung Experience 9.0, the Settings menu is also colored. Arguably, Samsung's looks a bit cleaner and more understated than the implementation seen in Android P.
(1) Pixel 2 XL Oreo. (2) Pixel 2 XL Android P. (3) Galaxy S9 Oreo. 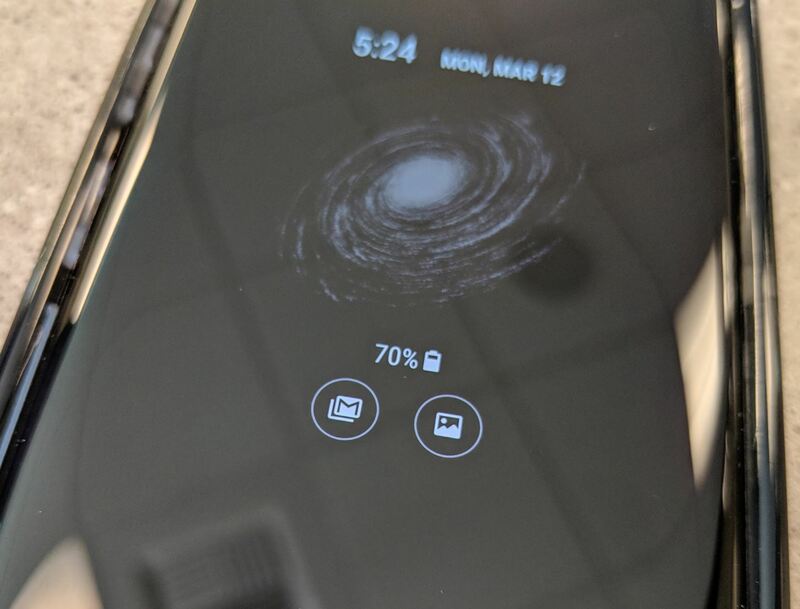 When Samsung introduced the Always on Display with the Galaxy S7, they added several pieces of useful information to your perpetual lock screen. Perhaps the most important is the remaining battery percentage. With Android P, Google brings this useful feature to stock Android. This one seems like a no-brainer, but again, Samsung was the first to implement this idea on a grand scale. Sharing screenshots has been a priority for Samsung since the introduction of their Galaxy Note lineup. The ability to save screenshots and mark them up with annotations became an integral part of their UI. Android P introduces a very similar feature in the form of the new Markup app. When saving a screenshot in Android P, you can now tap on the Edit option to open up the Markup screenshot editor. Within the app, you can choose from the pen or highlighter to doodle on and annotate your screenshot. When you complete your markup, you can save the screenshot to your device storage. If you want to install the Markup app, you can actually get it on any Android phone right now! (1) Markup Editor on Android P. (2) Accessing Markup. (3) Samsung's More Robust Editor. While the Markup app is a nice tool, it does not offer the advanced functionality available in Samsung's own screenshot editor. The editor on the Galaxy S9 has a robust selection of pens, pencils, and brushes to use when annotating your screenshot. In addition to a wider selection of markup tools, Samsung also offers the ability to precisely crop your photo and subsequently share it to any social media platform. The functionality of the volume buttons on a phone has typically been fairly straightforward. Pressing the volume up button turns the ringer volume up. Pressing the volume down button turns the ringer volume down. However, in the age of YouTube, Netflix, and other streaming services, it makes more sense for those buttons to control media volume. 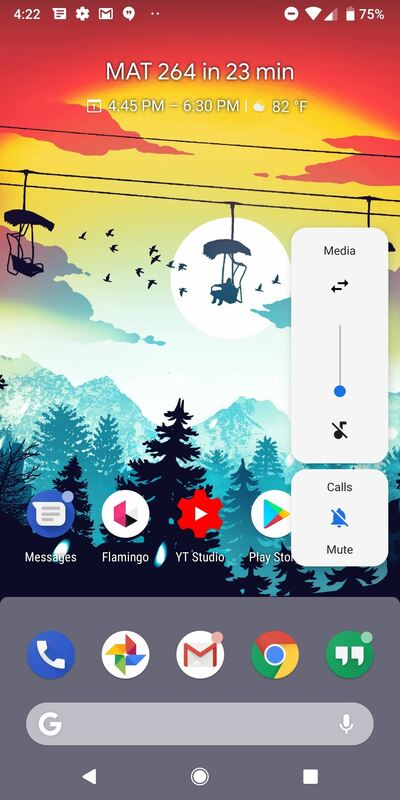 Samsung started offering this option last year with their Oreo Beta, giving users the choice to control either ringer or media volume using the hardware buttons. (1) Media volume is the default control in Android P. (2) User choice for volume control on Galaxy S9. Google decided in Android P that media volume should be the default option controlled by the hardware keys. While this makes sense, it seems better to give users the option as to which they want to control — though it is worth noting that you can toggle your ringer on and off from Android P's default volume UI. 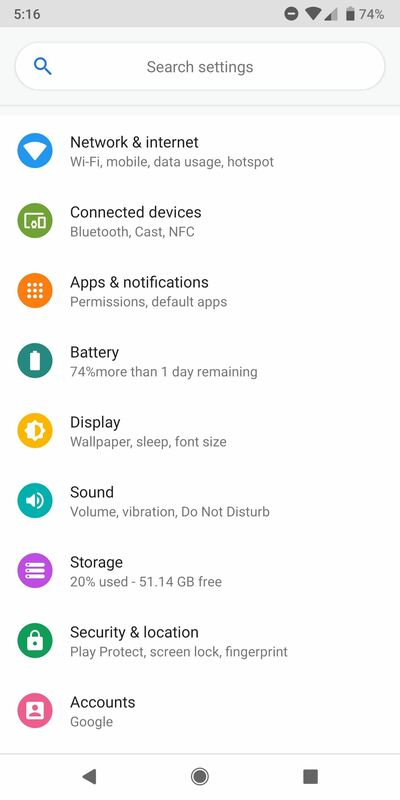 By now, we have seen that Samsung Experience 9.0 already has a number of features included in Android P. On the other hand, many people are not a fan of the launcher included with Samsung phones. Thankfully, you can install the Pixel launcher included with the Android P developer preview. Even better, we have a quick guide that will walk you through the entire process. (1) Galaxy S9 running Android P Pixel Launcher. 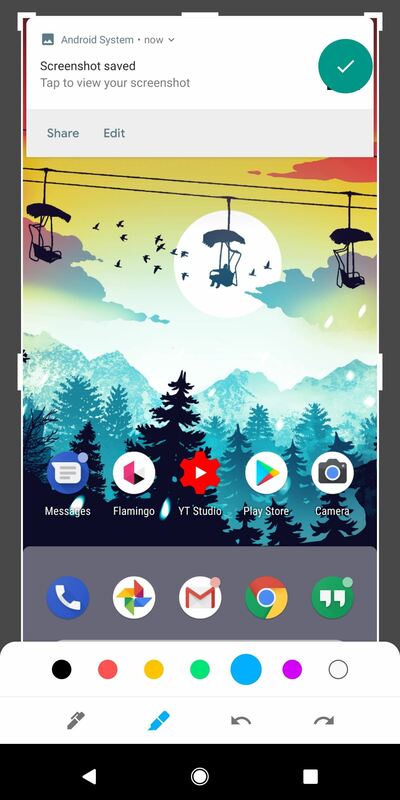 (2) S9 App drawer running Android P Pixel Launcher. Samsung often faces complaints for slow Android platform updates on their flagship phones. While some of this criticism is deserved for security reasons, many of the fancy features in Android P are already available on the Galaxy S9. Everyone will always have their favorite version of Android, whether it be skinned or stock, weigh in with your thoughts in the comments!